Get your degree and diploma in just four years! Prepare for a career in biotechnology, forensics, diagnostic laboratories and the health sector. This interdisciplinary degree-diploma combination is offered by Lakehead University and Georgian College. 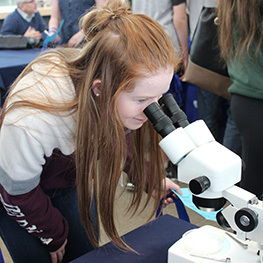 Upon completion, you will receive both an Honours Bachelor of Science Degree in Applied Life Sciences from Lakehead University and the Biotechnology Diploma from Georgian College. Our focus on the practical application of your skills provides you with valuable laboratory and data analysis training, as well as experience working as part of an interprofessional team. As a graduate, you will be well prepared for a career in a biomedical field. Program-specific requirements for Ontario high school students: Grade 12 U English, Grade 12 U Advanced Functions, Grade 12 U Biology, Grade 12 U Chemistry, and two additional Grade 12 U or M credits. NOTE: Use the code AA when applying to the program through OUAC.